No matter what color your thumbs are, you can grow tasty taco ingredients with this innovative grow kit. Great tacos require the satisfying crunch and sublime flavor that only fresh-picked produce can provide. Turn your porch, patio, deck, or roof into your own personal farmers market, and you won't even have to leave home when the urge to taco kicks in. "Sounds great." you say, "but I have black thumbs." 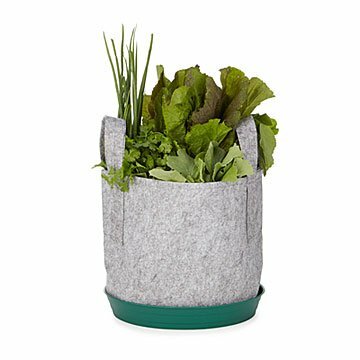 LEED accredited architect Cam MacKugler's innovative container garden kits will turn them green by eliminating garden guesswork. Each sheet is embedded with correctly spaced pods containing high quality, easy to grow, organic, and non-GMO seeds: cilantro, scallions, three types of radish, arugula, and mustard greens. Just put your nutrient-rich potting soil (not included) into the lightweight, flexible container (made of recycled plastic), place the seed sheet (which also functions as a weed barrier) onto the soil, water, and put it in a sunny place to grow. Recipes and growing instructions by region are included. Made in Middlebury, Vermont. Click here to see the Seed Diagram. Click here to see the Planting Map and Harvesting Estimates. Hungry for more? Check out our Herb and Hot Sauce seed sheet kits. Cam MacKugler is a born-and-raised Vermonter passionate about design and sustainability. He graduated from Middlebury College with an Architecture degree, and joined a local design/build firm. Cam became a LEED accredited professional and pursued his passion for sustainable design, often incorporating vegetated elements like green roofs, rainwater catchment systems, and living walls into his projects. One summer while house-sitting for a co-worker from the architecture firm, Cam had an epiphany. Because it was Vermont, the “house” was an 80-acre farm, and Cam was paid with access to his co-worker's garden. While harvesting dinner one evening, he noticed the meticulously organized and arranged garden, and in his head saw a blueprint. He then had his “AHA moment,” and envisioned a product that would approach gardening with the same precision as architecture. He sprinted inside the farmhouse and, using his co-worker’s kids’ crayons, sketched the first drawing of what would become his innovative, pre-seeded gardening mats. Cam wants everyone to be able to enjoy a homegrown harvest, and experience the freshest, most local produce possible by growing it themselves. To plant, simply fill the container to the brim with organic nutrient-rich potting soil, place the Seedsheet directly on top, secure with the included biodegradable stakes, and add water. Place your garden in a location with full sun. Unless you have a LED Grow Light, we recommend starting your garden outdoors at least 2 weeks after your final frost.